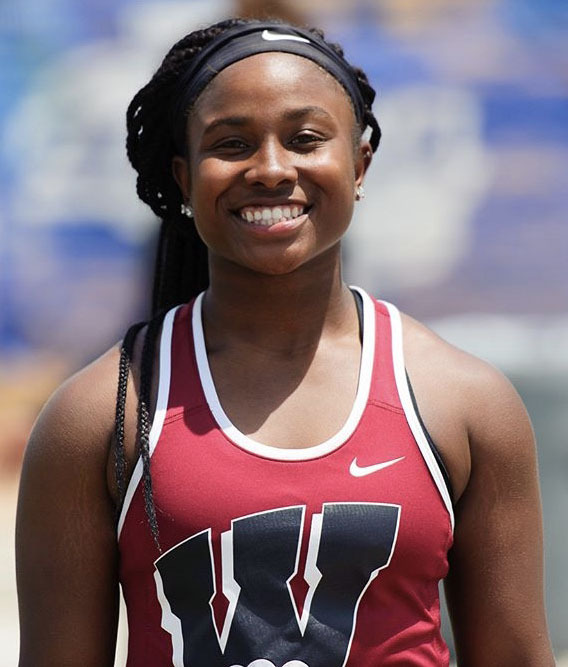 A track and field star at Whitewater High sprinted all the way to the state finals in the 2018 Wendy’s High School Heisman Scholarship Competition. Morgan Johnson, a senior, was first selected by the Heisman award committee as Whitewater High’s school-level winner, and then was chosen as one of only 19 scholarship finalists in Georgia. To be considered for the Wendy’s High School Heisman Scholarship, students must be seniors on track to graduate with their class, have a 3.0 cumulative grade point average (GPA) or better, be proven leaders within their school and community, and perform in at least one of the 47 school-sponsored sports recognized by the International Olympic Committee and/or the National Federation of State High School Association. Johnson has been a member of the Whitewater High track and field team since ninth grade. She holds a number of titles including GHSA region and state shot put championships, a Georgia heptathlon champion and a West Coast national shot put title. She also received the New Balance Emerging Elite Shotput award in 2017, and is the current record holder at Whitewater in 4×100-meter relay and 4X100 throwers, as well as the current state record holder in 4X100 throwers. In addition to track and field, Johnson has played on the school’s varsity basketball team and varsity softball team. Not only is she a well-rounded athlete, but she excels in the classroom as well, and has been recognized as a Whitewater High School Scholar Athlete for having the highest GPA on the track, softball and basketball teams. She sees herself as a student first and an athlete second, having taken nine Advanced Placement courses and numerous honors courses, all while playing three different sports and accumulating a 4.2 GPA. In between studying and playing sports, Morgan makes time to give to the community. Since eighth grade, she has logged approximately 24 hours a year each summer volunteering for Square Foot Ministries. She is also involved in the outreach ministry at her church and is a Whitewater High School Ambassador. “Activities that directly impact the community have a special place in my heart. Working with kids and those who are in need the most is very important because I can see my efforts going to use; I can see the change and benefits within my community and within people’s lives, and I love it,” she said. After graduation, Johnson plans to attend college as a pre-law/psychology major.